Youth are empowered to make a difference in their own lives to develop their full potential. Safe Place is an outreach and prevention program for young people in need of immediate help and safety. As a community initiative, the program designates schools, fire stations, libraries, and youth-friendly businesses as Safe Place sites where youth can access help and supportive resources. 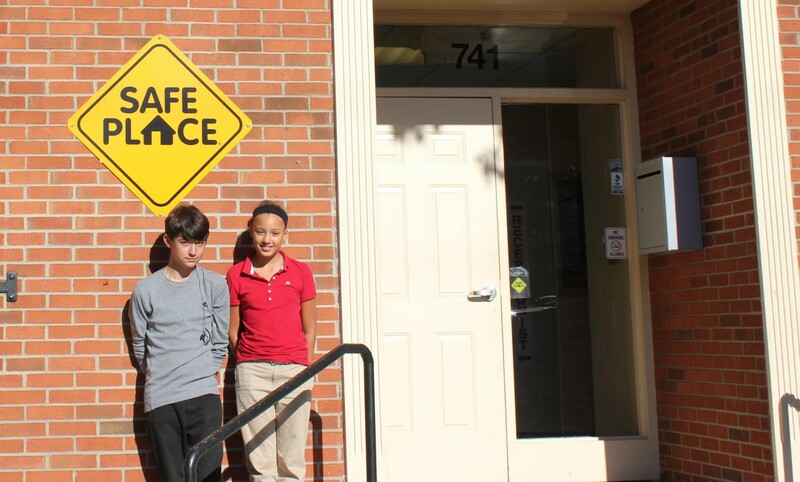 Safe Place locations extend the doors of the local youth service agency or shelter to support teens in crisis situations, creating a safety net for youth. Kids experience many difficult situations - problems at home, issues at school, trouble with peers, being locked out of the house, riding with an unsafe driver, or being in a dangerous situation on a date. They also leave home to escape abuse or neglect, drug or alcohol abuse by family members, or because they’re told to leave. National agencies estimate that between 1.6 and 2.8 million youth run away from home each year. They can go to any designated Safe Place site to get immediate help. Children and teens deserve access to a Safe Place and a chance to work through their problems with the support of caring adults. Must be between the ages of 6-17.